Motorcyclists face plenty of risks on the road. They’re more vulnerable to injury than other motorists, and other motorists may not be as aware of motorcyclist nearby as they would be with other commuter vehicles. The team at our Stockton, CA law firm would like to cover some of the common causes of motorcycle accidents. You can speak with our lawyers if you or a loved one has been involved in a collision. Speeding is a major factor in many auto collisions. When exceeding the speed limit, it’s more likely for motorists to lost control of their vehicle and get into crashes with others on the road. Be sure to follow the speed limit wherever you are, whether it’s a winding road, a freeway, or a city street. Reckless behavior while driving any kind of vehicle puts yourself and others at risk. This is especially true while on a motorcycle. Frequently changing lanes, ill-advised lane splitting, cutting others off, and taking unnecessary risks are all recipes for disaster. Always abide by the rules of the road. Drunk driving is a serious problem. The Centers for Disease Control and Prevention (CDC) estimates that 28 people die every day from an alcohol-related vehicle accident. That’s one person every 50 minutes. If you are drunk or even feeling slightly buzzed, do not get on your motorcycle. Get a ride from a friend or find some place to stay to sober up. Marijuana, prescription pain killers, and other kinds of drugs can cause impairment of judgment and reflexes just like alcohol. If you are under the influence of any controlled substance, be sure to avoid riding your motorcycle. Many people take driver fatigue, yet it’s extremely dangerous. Operating a vehicle while you are sleepy can be just as bad as driving that vehicle while drunk. Be sure you are well-reseted before you get on your motorcycle, and never push yourself beyond reason. Sleep deprivation is no joke. Motorcyclists can often get caught in the blind spot of other vehicles. This is a deadly place to be. Motorists who are turning, switching lanes, or merging might strike the motorcyclist in their blind spot if they are not cautious. If you are a motorcyclist, try to ride where you can be seen. Driving a motorcycle can take time to get the hang of. Inexperienced motorcyclists might not know what to do when certain situations arise, or may not have a good handle on what their vehicle is capable of. If you’re new to motorcycles, take things slow on the road as you learn how to ride. Bad weather makes all dangers on the road worse. Vehicles are more likely to lose traction in rain. If there’s fog present, visibility can be greatly obscured. Even strong gusts of wind can make it difficult to control your motorcycle. Check for bad weather before driving, and be cautious. Debris in the road, pot holes, and poor road maintenance can lead to difficult driving situations. 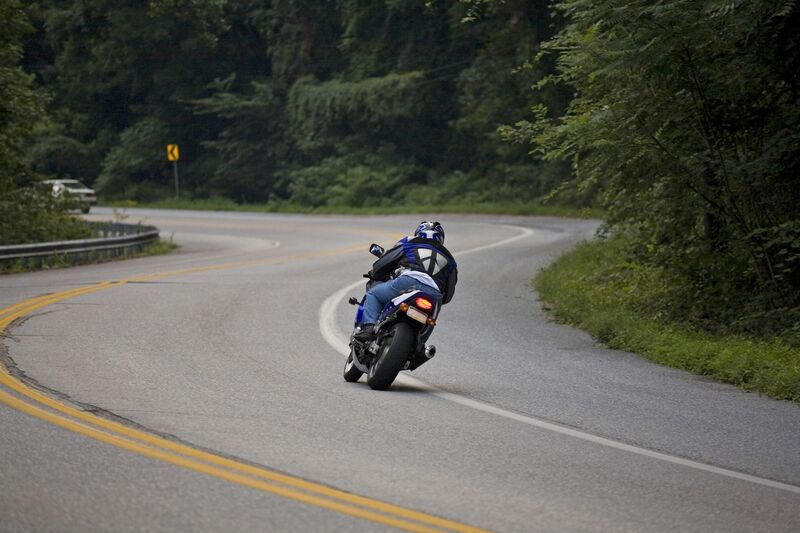 Motorcyclists in particular may be more likely to lose control because of bad road conditions. Drive cautiously when roads seem damaged or in bad shape. Problems with tires and vehicle design can cause or contribute to motorcycle accidents. It’s important that auto companies or the makers of auto parts be held accountable for any accidents caused by design or manufacturing defects. For more information about your legal options following a motorcycle accident, be sure to contact the lawyers of Shore, McKinley & Conger, LLP. Our team will help you and your loved ones in your time of legal need.